SPRAWDŹ OFERTĘ EKSPORTOWĄ I ZYSKAJ NAJWYŻSZEJ JAKOŚCI PRODUKTY MLECZARSKIE I WYROBY, STWORZONE WYŁĄCZNIE Z POLSKIEGO MLEKA. 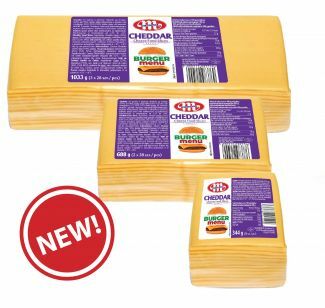 Processed Cheddar cheese has distinctive, intense and characteristic taste ensures unforgettable sensations even for the most sublime palates. It gives the dishes exceptional, unusual taste values, being an ideal proposition for every occasion: quick snack, addition to burgers, toast or as a component of many baked dishes. The practical packaging with the possibility of easy opening will work in all conditions. Offered in an economic portion, ideal especially for the HoReCa sector. Cream Powder is produced from sweet, pasteurized cream which is normalized and than is subjected to spry drying process. In Cream Powder does not occur either ingredients or substances which contain a genetically modified organisms. The provisions of Regulation (WE) 1829/2003 and Regulation 1830/2003 of Europen Parliament and the Council of the European concerning the traceability and labelling of genetically modified organisms and traceability of food and feed products produced from genetically modified organisms, are abided and the product does not require any special labelling. Cream Powder is not treated with ionising radiation and does not require any special labelling, in accordance with Directive 1999/3 concerning foods and food ingredients treated with ionizing radiation. Cream Powder should be stored in dry, clean, odorless warehouse. Warehouse’s temperature should be less than 25C and maximum relative humidity 75%. Cream Powder should not be stored longer than 6 months from the packaging date. 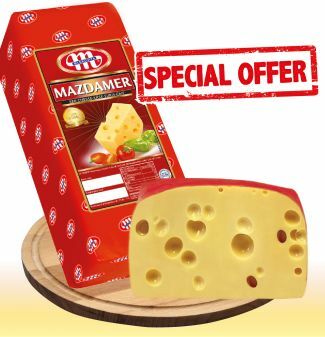 Mazdamer cheese is a Swiss type cheese, appreciated for its aromatic, nutty, sweet taste, elastic- resilient texture and large regular holes. Cheese is a valuable source of calcium, protein and rich in vitamins. It's a great addition to sandwiches, also can be added to casseroles, pizzas and other dishes. Protein plays a very important role in the diet of people professionally practicing sports, active people and those who care for a healthy lifestyle. 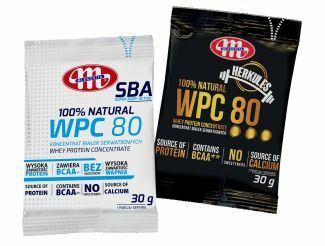 in a new, single portion of 30 g.
It is a 100% natural, pure whey protein concentrate. It does not contain sweeteners. It is a rich source of natural proteins (including BCAA amino acids), which contribute to the growth and maintenance of muscle mass. Whey protein concentrate also delivers calcium necessary for strong bones and healthy teeth. INSTANT FFMP Fat Filled Milk Powder is obtained from liquid, pasteurized cow’s milk with the addition of vegetable palm oil and dried by spray drying process and than subjected to instantisation process using sunflower lecithin. 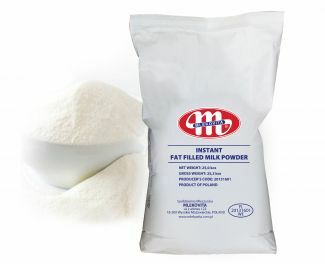 INSTANT FFMP Fat Filled Milk Powder is perfect replacement for full cream milk powder. It has many applications in the food industry e.g. during the production of cheese analogs, ice creams, fermented products, milk drinks and in bakery, confectionery, production of concentrates , dry mixes, chocolate, dessert, cream fillings, sauces and other products. 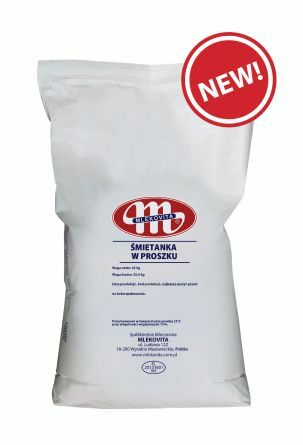 A DIRECT PACKAGING of INSTANT FFMP Fat Filled Milk Powder are multi – layer bags with polyetyhlene insert, net weight 25 kos and big – bags net weight 1000 kos. EXPIRY DATE of INSTANT FFMP Fat Filled Milk Powder is not longer than 24 months from production date at temperature not higher than +25°C and maximum relative humidity 75%. INSTANT FFMP Fat Filled Milk Powder does not contain components or additives which include genetically modified organisms (GMO) and does not subjected to ionising radiation. Allergens: Milk and milk products (including lactose).